You never know what may show up. 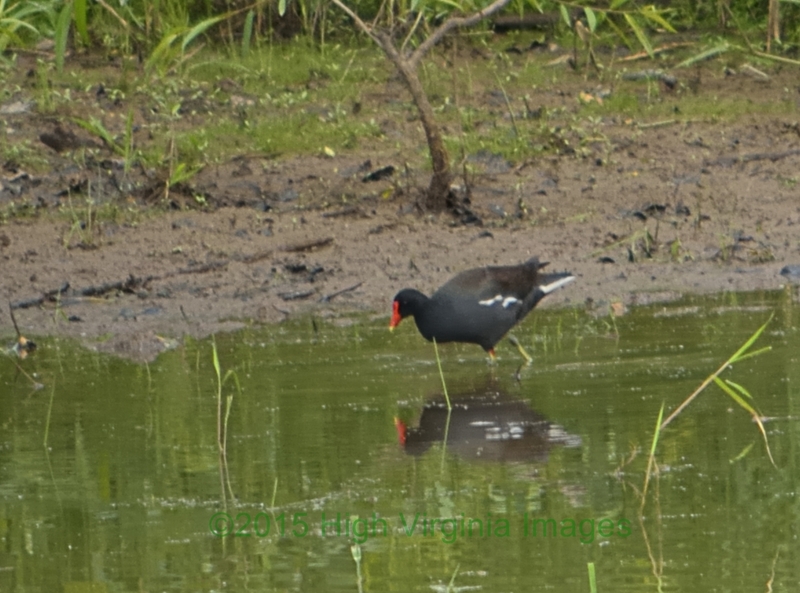 A Common Gallinule was spotted in Monongalia County earlier this month. One has been spotted in Lewis County, this week. It has been in the same location for 4 days, now. The last I heard was it was still present yesterday (5/30/15) at 11:00 am. 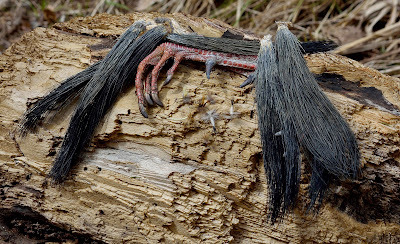 This species is very rare in our region. 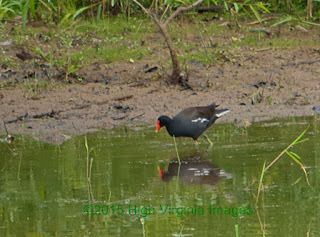 It isn't something that would get much of a notice or even a mention in the wetlands of the southern US, but it is a Good bird here. Yep a very good bird. 79 years since this species has been seen in north central West Virginia. 2000. The most recent sightings were May 3, 2015 in Kanawha County, Apr. Therefore if you aren't doing anything; you might want to take a ride to the Georgetown Road/Old Georgetown Road intersection and see if it is still there. May be a once in a lifetime opportunity. Don't miss it. SOUTH CHARLESTON, West Virginia – The popular Tagged Catfish in the Parks Program is underway again in West Virginia's state parks, providing fun and even rewards to those lucky enough to catch one. State parks have some of the many lakes that are part of the Division of Natural Resources stocking program. "Catfishing is great fun for anyone, especially for families with children. This is a fish easily caught and that experience often is a first fish – a lasting memory of good times outdoors," said West Virginia State Parks Chief Sam England. State park areas included in the May stocking program are: Berwind Lake (McDowell Co.), Cacapon State Park Lake (Morgan Co.), Cedar Creek State Park Lake (Gilmer Co.), Chief Logan State Park Lake (Logan Co.), Laurel Lake (Mingo Co.), Little Beaver State Park Lake (Raleigh Co.), North Bend State Park Pond (Ritchie Co.), Pipestem State Park Lake (Summers Co.), Tomlinson Run State Park Lake (Hancock Co.), and Watoga State Park Lake (Pocahontas Co.). Seven state park lakes feature a Tagged Catfish in the Parks Program, according to Chris O'Bara, DNR fishery biologist. These lakes are: Cacapon, Cedar Creek, Chief Logan, North Bend, Pipestem, Tomlinson Run and Watoga. Lucky anglers who submit tag information receive a free night camping at select state parks in West Virginia. However, the parks do not collect the tags or issue the rewards. Anglers who catch a tagged fish should return the tag or the tag number along with information on the date of capture, whether the fish was kept or released, and the name and address of the angler to WVDNR, 2311 Ohio Ave, Parkersburg, WV 26101. Anglers also can call in the information (304-420-4550) or provide the information via email at dnrfishtags@wv.gov. Additional information about the tagging programs can be found at www.wvdnr.gov/Fishing/Fish_Tagging.shtm. Eleven long months have passed; some were excruciatingly slow. Linger they did, but they are now in the past; thankfully so. Being tomatoless made it even worse. I sure hope that doesn’t happen again; we shall see. Yes, it is finally May and I hope it lasts for six weeks instead of two. The mad May rush is on, get everything done before the heat sets in. It’s time to get your priorities in order turkeys, trout and garden in no particular order. Just doing what seems right for the day is the way to go. Enjoy the month; because it will be a long time, until it arrives again. I don’t turkey hunt nowadays like I once did. I used to be out there guiding or hunting from mid-March until the end of May. I just have no desire to do that anymore. I do not hunt in the naked cold woods of early season. May is the time for me. I choose to wait until the woods come alive with green leaves, warblers, whip-poor-wills and mature gobbling turkeys. I don’t hunt in the rain, either. Been there, done that, don’t like it and I’m not doing that anymore. Yes, there was a period in my life when I lived to pursue the king of spring. The way the area I live in has been destroyed just leaves me disgusted. It took a lot out of me. Oh, yeah I have other places I really like to hunt but they require travel and time to get to. I still get up every morning during the season. I look at the sky. When I see stars, I go to the woods. If not, back to bed. It works for me, I only need one bird. Half for Thanksgiving, half for Christmas that is enough. I hunt the pleasant days when I enjoy being in the woods. I don’t worry about turkeys, I know one will come; always has and always will. One day in May. For me; early trout fishing with salmon eggs, Clousers and woolly buggers means one thing; actually two things. When I am able to make myself go, the goal is to put six on the stringer and go do something else. It is a time for restocking the freezer and getting a fish head for each tomato plant. That is it and I do not enjoy it. May is the fun time to be on a trout stream. I really enjoy fishing for trout on dry flies. The period following the April monsoons until the waters dry up is primetime. Nothing I have every found is as relaxing and enjoyable. March Browns, Sulphurs, Green Drakes, Isonychias and Light Cahills are all dependable and can produce constant surface action. Most importantly; it is fun fishing. I may keep a few rainbows for the freezer if I still need more. Brooks and browns go back in. May, without a doubt is the best time to enjoy and explore the West Virginia Highlands. Get out there and do it before it gets too hot and the streams go dry. You’ll be glad you did. Enjoy May when you can; It’ll be a long time until it shows up again.